Healthy banana bread...nothing says I love you more! 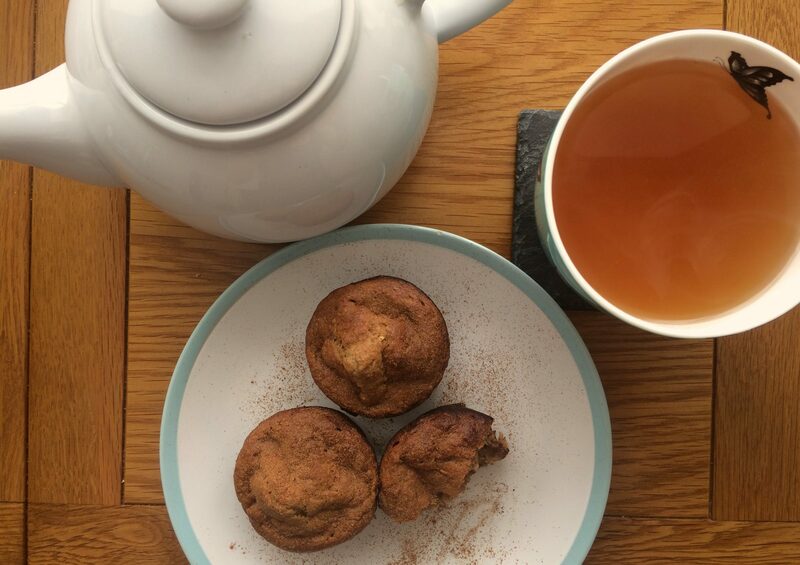 Healthy banana bread is perfect with a cup of tea in the afternoon. This one is sugar free as the sweetness from the bananas is enough but if you need it, add a drizzle of honey over the top. I always make it into muffins rather than a loaf because its easier for portion size (and they need less time to bake). This recipe is for a basic banana bread. Feel free to add in dried fruit, nuts or seeds. Just make sure you stick with wholemeal flour and add plenty of cinnamon to balance blood sugar levels. Enjoy! For muffins bake for around 20 minutes or until a skewer inserted into middle comes out clean. Loaf tins will take a little longer so keep an eye on it. Enjoy warm with a cup of tea! Store in airtight container for 3 days or freeze in batches and defrost when you need them.